Our ability to cooperate globally within the group and providing reliable quality is what has won over our customer Schaeffler. 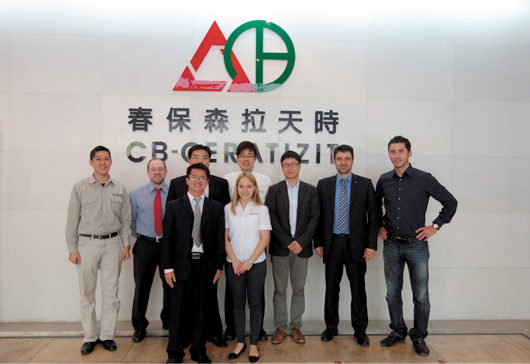 This is why the CB-CERATIZIT team was awarded the first ever “Global Cooperation Award” by Schaeffler at the beginning of the year. The prize was awarded on the first Supplier Excellence Days on the Schaeffler premises in Herzogenaurach. 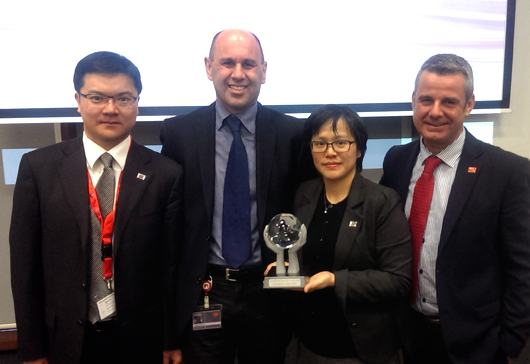 In 2014 CB－CERATIZIT was presented with the "Global Cooperation Award" by long-standing client and cooperation partner Schaeffler. We have faced up to the global challenge of implementing our clients' requirements. Reliable and flexible cooperation has enabled us to greatly improve the quality of our products and local services in China and, in turn, to contribute greatly towards quality assurance at Schaeffler. The key to our success?Communication. Schaeffler is a world leading manufacturer of roller bearings and supplier for the automotive industry. In 2012, the globally active corporation which is based in Herzogenaurach, Germany, achieved a turnover of around EUR 11.1 billion. Schaeffler is one of the largest family-owned German and European industrial enterprises with approximately 78,000 employees throughout the world. With 180 sites in more than 50 countries, Schaeffler has a global network of production sites, research and development facilities, distribution companies and engineering offices as well as training centers at its disposal. Web Design by Greatest Idea Strategy Co.,Ltd.